Embrace DevOps in an enterprise-ready way. Create toolchains that support your app delivery tasks. Automate builds, tests, deployments, and more. 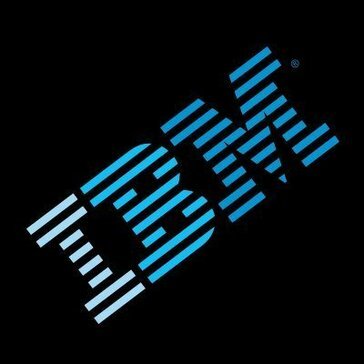 Work for IBM Continuous Delivery? Learning about IBM Continuous Delivery? "Creating your own applications is no longer difficult, if you have IBM Continus Delivery"
It offers induction mainly for people who want to create their own application, where you can create macros for the tools that will be part of the application, even gives you the option to give tools to third parties (subscribers or clients) of the application, this to have the ability to create the codes with which you will unify each process or tool to make the application complete, the application you believe in IBM, can be used anywhere either Tablet, pc or smart phone, something I like about this application, is that you have an initial code or source and a follow-up work of the application if you make an error or enter an erroneous code, you do not lose the work done, you return to the source and you can continue in the last step before making a mistake. I dislike this application that after entering my IDbm I can not use the full program because it is a single test and opened and closed unintentionally, when I tried again offered me the monthly payment plan of $ 40, so I lost the opportunity to know how this application helps an initial programmer or an experienced programmer. It is a great tool that teaches you step by step how to configure your app without having a specialized experience, super practical and simple to use. If you want to save the process of interviewing a programmer spend hrs explaining your ideas so that I can create the application and after creating it you must check if I really believe it with what you asked, buy the package IBM Continuos Delivery and be yourself the creator and designer of your app, where once created the ibm cloud is responsible for maintaining it according to the parameters with which it was created also has two programs that can be adjusted to the need of the size of the company that requests the service. * We monitor all IBM Continuous Delivery reviews to prevent fraudulent reviews and keep review quality high. We do not post reviews by company employees or direct competitors. Validated reviews require the user to submit a screenshot of the product containing their user ID, in order to verify a user is an actual user of the product. Hi there! Are you looking to implement a solution like IBM Continuous Delivery?